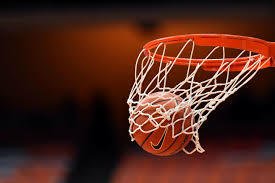 The fourth and final round of the regular season of the Kwese Premier Basketball League tips off two days ago in centres around Nigeria with 7 games left to be played by each team. Regardless of the outcome of these games, four teams have secured spots in the Conference Six Playoffs. These teams are the top two teams from the Atlantic Conference (Rivers Hoopers, Kwara Falcons) and the Savannah Conference (Kano Pillars, Gombe Bulls) respectively. According to the Rules and Regulations of the Premier Basketball League, teams are awarded 2 points for each game won, 1 point for games lost, and no point for games forfeited. Kano Pillars have won 19 games and lost 2 (40pts), Rivers Hoopers and Gombe Bulls have each won 18 games and lost 3 (39pts) while Kwara Falcons have 38 pts with 17 wins and 4 losses. This means that as long as these four teams show up for the last 7 games in the regular season, the lowest possible points they can finish with - 47, 46, 46, 45 - will be higher than the best possible points for the bottom two teams in each conference - Delta Force 39, NAF Rockets 38, Bauchi Nets 40, Kada Stars 39. Also, NAF Rockets will start the fourth round with a bit of confidence having defeated Hoops & Read 64 - 61 to end their 16 game losing streak - the longest in franchise history and possibly the longest in the history of the league. The last time they won a game was April 27 when they defeated Police Baton. With 7 games left in regular season, Rockets' focus will be winning as much as they can to avoid relegation to the Division One Championship. They play Hoops & Read for the opening game of the fourth round.